San Jose del Cabo is one of five main locations in Baja California Sur which include Cabo San Lucas, La Paz, Todos Santos and Loreto. All of these places can be discovered with Mexperience. The region is a particular favorite with divers, golfers and people looking for sports fishing excursions. San Jose del Cabo is quieter than neighboring Cabo San Lucas. The city is full of interesting places to see, quaint shops, good restaurants and cafés, and some quality art galleries that also showcase local artists’ works. Some of the finest resort hotels and spas can also be found here, offering top quality services and amenities as well as beautiful views across the ocean and pristine, secluded beaches for guests to enjoy. If you’re looking for all of the attractions that Baja California Sur offers in terms of landscape, beaches, weather and activities, but don’t want the commercialized feel of a developed resort, then San Jose del Cabo is the ideal alternative to neighboring Cabo San Lucas. 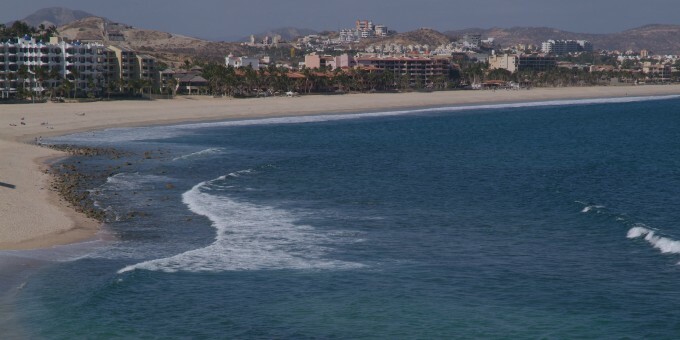 San Jose del Cabo has a very laid back and easy going atmosphere about it, and the beaches here reflect this. Use the space around you to unwind and chill-out while experiencing the authentic Mexican atmosphere San Jose offers. Some fine remote beaches exist along the shoreline between los dos cabos (“the two capes” – San Jose del Cabo and Cabo San Lucas). These include Barco Varado, Chileno, Palmilla, Santa Maria and Vista del Arco Beaches. You’ll need to rent a car to experience them – see Getting Around. These areas are great if you want to get away from the crowds and see some stunning beaches and shoreline in this area. Los Cabos is a perfect base from which to enjoy Mexico’s great outdoors and take part in a variety of nature and adventure experiences in Mexico. The local ecology, the landscape, the climate and the proximity to the sea make this region a natural paradise for those who love being in nature. What’s more, you can find experienced and well-equipped adventure and eco-tourism companies in Los Cabos who are ready to help you enjoy the best what this region offers. Fishing, kayaking, sailing, camping, surfing, horseback riding, nature walks, fabulous bird watching, cliff hikes, sunset cruises, watching the amazing whales and sea lions are just some of the activities you can enjoy in the area. See Also: Nature and Adventure Experiences in Mexico. Los Cabos is one of Mexico’s top destinations for sports fishing! Read the Mexperience guide to Sports Fishing in Mexico and discover just what a fantastic day out a sports fishing experience can be on your next visit to Mexico. There’s no better way to enjoy the scenery than on a local boat cruise. Local cruises take you on tours around the many islets surrounding the tip of the peninsula and include sunset cruises that let you experience some of the most wonderful sunsets you’ll ever witness. The climate in Baja California Sur is ideal for golf all year-round, and the region is one of the top venues in the world where golf is played. The region hosts some of Mexico’s best golf courses and some people visit here simply to enjoy great golf in Mexico. By Air – You can fly to San Jose del Cabo (the airport also serves nearby Cabo San Lucas) by plane from Mexico City, Guadalajara, Tijuana, and key cities in the USA. Taxis and vans are available from the airport to take you to your final destination; to save time and secure your space, consider pre-booking an airport shuttle so that someone is there to meet you at the airport when you arrive. See Airport Transfers, below. For detailed information about flights and flying, see the Mexperience guide to Air Travel in Mexico. By Bus – To get to Baja California Sur, your best bet is to fly there (see above); the bus journey from Tijuana to La Paz is about 27 hours; then a further 2 hours from there to Los Cabos. For detailed information about bus transportation read the Mexperience guide to Bus Travel in Mexico. By Car – Driving to San Jose del Cabo from the southern border of the United States will take you about 20-24 hours on Highway 1 and then a further 2 hours on Highway 19. See additional information about Driving in Mexico and Mexico’s Toll Roads on Mexperience. Car Rental – To properly explore Mexico’s Baja Peninsula consider renting a car for your visit. Having your own car will give you more flexibility than using public transport options and, in some cases, offer you access to places which are otherwise difficult to visit without the use of a car. Read our guide to Car Rental in Mexico to learn what you need to know about car rental in Mexico and connect to the Mexperience Travel Center to reserve your Rental Car. By Ferry – If you are on Mexico’s mainland, or want to get to it, there is a ferry that crosses the Sea of Cortez (also known as the Gulf of California) to and from La Paz to the port cities of Mazatlan and Los Mochis (Topolobambo). The ferry trip to/from Mazatlan takes 18 hours and does not run daily; sleeping cabins are available with advance bookings. The ferry to/from Los Mochis (Topolobambo) takes around 8 hours and does not sail daily either. Check the Ferry’s web site at: http://www.ferrytmc.com/ for details of routes, schedules, prices and contact details. Note: from 2004, a new Catamaran ferry is being operated, and this has significantly reduced the travel times across the Sea of Cortez from Mexico’s mainland to La Paz. Walking in San Jose del Cabo – The city has two main areas: the downtown area where you’ll find the shops, main plaza and cathedral, and the hotel area, which as you might expect, runs along the edge of the beach. You can walk between the two, but you’re probably better off taking a local taxi. Local Bus – If your budget is tight or if you want to see more of local life, local bus service are available which connect La Paz, Los Cabos and Todos Santos as well as other destinations further north such as Loreto, San Felipe and other destinations in Baja California. However, the services are limited and infrequent in comparison to buses on Mexico’s mainland. If you want to see all of the amazing beaches and scenery which surround you as you travel to and from San Jose del Cabo, then rent a car locally. Every July you can experience the Cabo Jazz Festival in Cabo San Lucas. Held right on the beach, in the sand, under the stars with the water coming up to your feet while listening to some of the world’s top names in Jazz. This is one music festival you’ll never forget. Link to festival’s official web site at www.cabojazz.com for full details. Exchanging Currency: Banks with ATM machines can be found in the downtown area of San Jose del Cabo. During business hours, they and the Casas de Cambio will buy traveler’s checks and cash from you as well. For detailed information about exchanging and managing your money, read the Mexperience guide to Money in Mexico. Beach Safety: The main beach, Playa Hotelera, is a safe beach to swim from, but take good care when swimming as some undertows do exist; check for and keep an eye on the surf and on weather conditions, especially in September, when the weather in the region is changeable. Don’t venture out too far – especially if you’re not a strong swimmer! Zippers – On the beach, serving a variety of local food and drinks. Reasonably priced and offering a good atmosphere to dine next to the water. Habaneros – Run by a local Canadian expat who lives in town; this restaurant offers an excellent menu including a range of good wines. In stark contrast to Cabo San Lucas, San Jose del Cabo has a very tame night scene. Night entertainment consists of a meal out at a restaurant or a quiet drink at one of the local bars. The choice really, is whether you want to spend the evening relaxing in town, or next to the sea. Sunsets are amazing in this part of the world – so remember to be near the sea at dusk. Cabo San Lucas, just west of here is the best place to see the sun slowly melt into the Pacific Ocean, as it’s at the tip of Land’s end. But the sunsets at San Jose del Cabo are stunning as well— make time for this experience while you’re here! San Jose del Cabo offers you the opportunity to buy a wide range of quality goods from some really unique art, craft and speciality shops. The town also offers a number of trendy clothing outlets and art galleries. The weather during the summer months will be extremely hot yet cooler near the coasts. In the winter it can get cool and windy, so if you’re traveling in the winter, take some warm clothes just in case the weather turns chilly (especially in the evenings). The rainy season is September (the one month when the weather can be changeable), otherwise this part of Mexico enjoys sunshine most days of the year.